The competition's back! Win a set of the paperback of The Preacher and a hardback of The Stonecutter by Camilla Lackberg (UK only alas). Competition question and rules => here. Foxy's been up to his tricks again. I wish I'd been able to photograph him when he first jumped up and his back legs were swinging through the bannister posts. 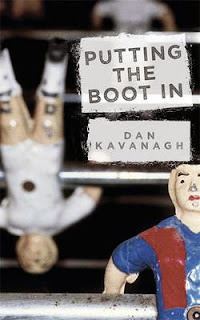 The Football Focus post has been updated with another football themed crime novel. Another cover with wire fencing has been added to this cover theme post. And the ever popular woman walking by the side of the Thames gets another entry. 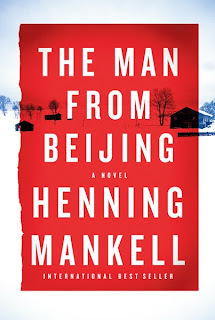 If you hadn't heard of Henning Mankell, which one of these covers would entice you to pick the book up? The US one has a little of the US Stieg Larsson covers about it I think? January 2006. In the Swedish hamlet of Hesjövallen, nineteen people have been massacred. The only clue is a red ribbon found at the scene. Judge Birgitta Roslin has particular reason to be shocked: Her grandparents, the Andréns, are among the victims, and Birgitta soon learns that an Andrén family in Nevada has also been murdered. She then discovers the nineteenth-century diary of an Andrén ancestor—a gang master on the American transcontinental railway—that describes brutal treatment of Chinese slave workers. The police insist that only a lunatic could have committed the Hesjövallen murders, but Birgitta is determined to uncover what she now suspects is a more complicated truth. The investigation leads to the highest echelons of power in present-day Beijing, and to Zimbabwe and Mozambique. 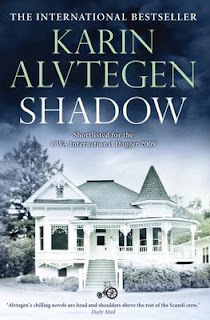 But the narrative also takes us back 150 years into the depths of the slave trade between China and the United States—a history that will ensnare Birgitta as she draws ever closer to solving the Hesjövallen murders. Ben Dunn has struck his first fiction deal at Random House, acquiring world rights (including dramatic rights) to a debut thriller, Girl 4 by British newcomer Will Carver. Girl 4 is to be the first in a series featuring detective inspector January David and will be an Arrow paperback original in May 2011, with the second book in the series following in November 2011. Dunn called Girl 4 "cool, clever modern fiction with an intensely visual quality to the writing" and "a fast-paced page-turner with a cracking plot and compelling twists". Read the whole article in The Bookseller. Quercus has acquired the first two books in a historical series by debut author Patrick Easter. The first in the series, The Watermen, is set around the docklands of London in the late 18th century and introduces the character of Tom Pascoe – a patrolman with the Marine Police, Britain’s first organised Police Force. Quercus will publish in spring 2011. Many thanks for the kind comments about my back/health. Fortunately I'm ok now and I hope to do a bit more blogging next week compared to this previous one. 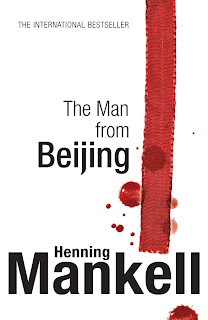 Michelle Peckham reviews Henning Mankell's The Man Who Smiled, tr. Laurie Thompson and compares it to the tv show. I've just added a new-to-me Spanish author to the Euro Crime database. 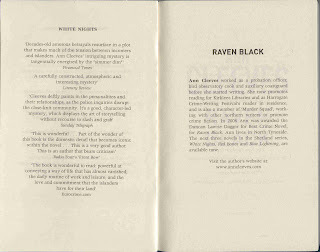 Telegram Books appear to be translating Eduardo Mendoza's trilogy about a detective in a mental asylum: The Mystery of the Enchanted Crypt was published in October 2008 and the follow-up, The Olive Labyrinth, is scheduled for October 2011. Released from an asylum to help with a police enquiry, the quick–witted and foul–smelling narrator delves deep into the underworld of 1970s Barcelona to investigate the mysterious disappearance of a teenage girl from a convent school. 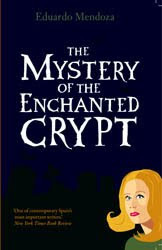 Helped only by his ageing prostitute sister and the voluptuous nymphomaniac, Mercedes, the narrator's investigations take him deeper into a mystery involving murdered sailors, suicidal daughters, a web of organised crime and a secret, underground crypt. Mysteries and mishaps follow each other at breakneck speed, as the hapless detective delves beyond humour and the absurd to the frontiers of the truly surreal. 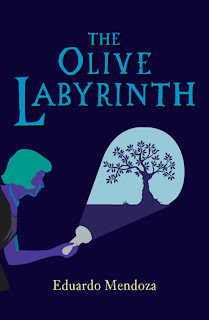 A brilliant send-up of the detective genre and of Spanish society, The Olive Labyrinth promises to have you in stitches. Both titles are translated by Nick Caistor. I rather enjoyed listening to God's Spy by Juan Gomez-Jurado last year - the action takes place during the election of the next Pope following Jean-Paul II's death. The 'hero' is Father Fowler, a military trained priest. He returns in Contract With God which came out last August in the UK and which will be published as The Moses Expedition in the US this August. Back permitting, there should be a new competition available soon. Pat Austin reviews The Janus Stone by Elly Griffiths calling it "a real tour-de-force"
and Amanda Gillies reviews Will Napier's Without Warning, set in the US. The suspicious death of a second-hand car dealer at a model-railway exhibition seems a fairly routine case for Glaswegian detectives Thane and Moss. But this time the arrival in the city of a horde of international football fans for a big game complicates matters. The duo struggle to piece together the evidence against a backdrop of confusion and violence and find a trail that leads to an art robbery of unparalleled magnitude. When Chief Inspector Lorimer returns from his holiday on the island of Mull, he feels a welcome sense of calm. But it doesn't last long. Kelvin FC's new star midfielder is found brutally stabbed to death in his own home and, with his wife apprehended trying to leave the country, a seemingly straightforward new case begins. 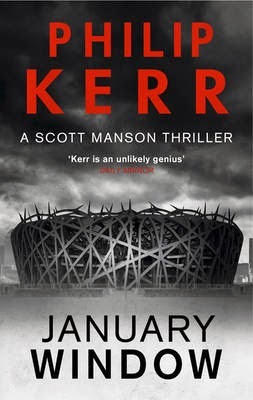 But the grisly murder of a referee after a Kelvin match throws light on some dark secrets at the ground. 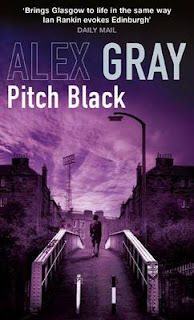 And when the latest signing to the club becomes the latest victim in a string of killings, Lorimer knows there's a serial killer on the loose - one that's only beginning to show his true colours. As lies emerge and tensions build, the players and managers live under the constant threat of becoming the next Kelvin fatality. It is a troublesome fact on which even Mma Ramotswe and her assistant Mma Makutsi agree: there are things that men know and ladies do not, and vice versa. It is unfortunate, for example, when Mma Ramotswe's newest client is the big-shot owner of the ailing Kalahari Swoopers, that one thing lady detectives know very little about is football. And when the glamorous Violet Sephotho sets her sights on Mma Makutsi's unsuspecting fiance, it becomes exasperatingly clear that some men do not know how to recognise a ruthless Jezebel even when she is bouncing up and down on the best bed in the Double Comfort Furniture Shop. 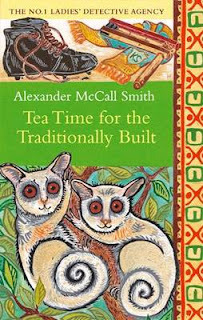 In her attempt to foster understanding between the sexes and find the traitor on Mr Football's team, Mma Ramotswe ventures into new territory, drinks tea in unfamiliar kitchens and learns to trust in the observational powers of small boys. 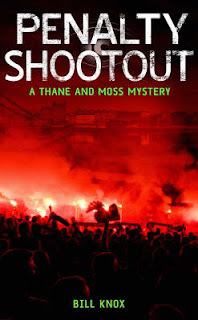 About ten years ago Phil Andrews wrote two football themed books starring PI Steve Strong and Dougie Brimson wrote two books featuring football hooligan Billy Evans. Going further back, the Classic Crime Fiction website has a dozen or so books football related crime novels from the 1940s and on. Foul play’s afoot at Bruton Rovers Football Club. Bruton Rovers FC has been promoted to the Premiership, but Jim Capstick’s days as Chairman have made him some enemies in the Lancashire mill town. With the team fighting relegation, the debts are piling high. But when the club is rocked by a murder after Jim makes a surprise announcement, the question’s not who had the motive, but who had the balls to actually do it. ‘Percy’ Peach and DS Lucy Blake have their work cut out for them . . Things are hotting up in the Third Division and it seems someone's nobbling players. Following the loss of one of his best strikers, Jimmy Lister, former England player and now ineffectual club manager, calls on the expertise of Duffy. Enter London's most unusual investigator. An ex-policeman with razor-sharp wit and an interminable sexual appetite, Duffy must investigate the murky world of lower-league football. He soon finds himself grappling with neo-Nazism and vicious sabotage - not to mention the niggling question of whether or not he really is too short to be a decent goalie. As deceit and violence abound, Duffy's set for a difficult game. Warm up's over; it's kick-off time. Everyone knows football is a matter of life and death. But this time, it's murder. Scot Manson: team coach for London City FC and all-round fixer for the lads. Players love him, bosses trust him. But now the team's manager has been found dead at their home stadium. Even Scott can't smooth over murder...but can he catch the killer before he strikes again? 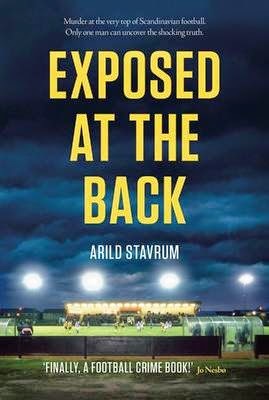 Norway's most powerful football agent, the charismatic and ruthless Arild Golden, is found brutally murdered. Rumours circulate about infidelity and secret deals, about billions that cannot be traced and stories about talented African footballers who are dumped without papers when they fail to make the grade in the professional game. The lawyer Steinar Brunsvik, a former player for Ajax and the Norwegian national team, as asked to represent murder suspect Taribo Shorunmo. Shorunmo is a former footballer living in Norway without a visa. 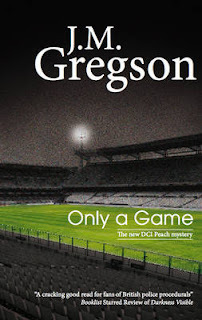 Brunsvik discovers that his own football career has a connection to Golden's murder and realises he caught in the middle of a dirty game that could prove fatal. 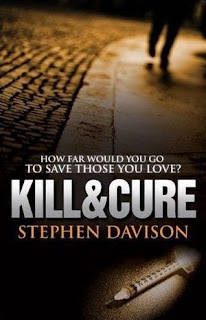 After posting details of Robert Finn's free ebook the other day, I had an email from Stephen Davison to say that his book, Kill & Cure, was available for free download for a limited time. You can read an excerpt on his website and the book can be downloaded via this page. ITV today announced the commission of a brand new drama, KIDNAP AND RANSOM. The series will star one of the UK’s leading screen actors, TREVOR EVE as international hostage negotiator, Dominic King. The three x 60 minute primetime thriller is the first drama to come out of Eve’s production company, Projector Pictures, whilst in partnership with talkbackTHAMES. The series has been written by acclaimed scriptwriter Patrick Harbinson (24, Law and Order, ER), and is now in pre-production due to film in South Africa this Spring. Eve will star alongside, JOHN HANNAH (Rebus, Cold Blood), HELEN BAXENDALE (Marple, Cold Feet), NATASHA LITTLE (Mistresses, This Life), EMMA FIELDING (Cranford) and AMARA KARAN (The Darjeeling Limited). When a businesswoman (Emma Fielding) is kidnapped in South Africa, expert hostage negotiator Dominic King (Trevor Eve) believes he’s dealing with a straightforward case – pay the money, get her back. But when the release is botched and they strike again in Britain, the kidnapper, Willard’s (John Hannah) motives become far more sinister. With trouble brewing at home with his wife Sophie (Natasha Little) and teenage daughter - and his team, boss Angela (Helen Baxendale) and ambitious assistant Carrie (Amara Karan) pushed to the limit, King must draw on all his reserves to bring the victims home alive. Read the full ITV press release here. A giant cruise ship with over 1,000 passengers and 500 crew, the Ocean Emerald is a floating luxury palace. 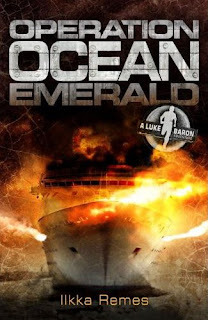 But for 14-year-old Luke Barron the cruise is a nightmare from the moment the ship sails. Luke has unwittingly disturbed the plans of a highly organized criminal gang, and his efforts to stop them place him firmly in the firing line. Remes won the 'Clue of the Year Award' from the Finnish Detective Novel Society in 1999 so perhaps one day his adult thrillers will also be available in English. A free e-book of Robert Finn's Underlife is available in many formats at his Snowbooks page. Underlife is the third in the series to be written but is a prequel to Adept and Ex Machina and appears to be novella length. 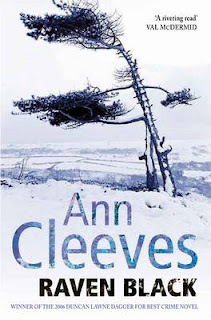 Blurb from amazon.co.uk: Being a thief makes it difficult to meet the right girl. And when you do, something always gets in the way. Like finding yourself trapped underground, caught in a shoot-out, with the police after you and only a supernatural killer to protect you. And if you somehow survive all that, you've still got to persuade her to part with her phone number. "Underlife" is a fast, short, sweet, tense runaway train of a thriller. Maxine Clarke reviews Hakan Nesser's Woman With Birthmark, tr. Laurie Thompson. Faber has signed Scottish author Doug Johnstone’s Smokeheads as part of a two-book deal that sees him leave former publisher Penguin. Smokeheads will be published in late spring 2011, with a second book to publish the following year. Faber described Smokeheads as “’Sideways’ meets ‘Shallow Grave’ with a hint of ‘The Wicker Man’... a classic ‘what if?’ thriller”, in which four old Edinburgh friends go on a distillery tour trip that goes “seriously awry”. Read the article in full, here. Dominique Manotti's latest translation, Affairs of State, tells of foreign workers in a landscape where murder has a political meaning. Joan Smith's recent thriller, What Will Survive is political in a broader sense. 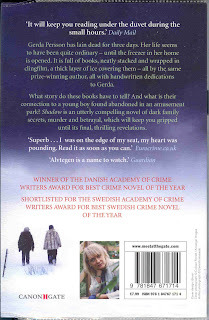 Both writers see the world as something far removed from the cosy village life of traditional crime fiction, more in common with Nordic authors such as Stieg Larsson than Agatha Christie. The pair will discuss their influences, their aims, and why the crime novel is pre-eminently a political form. 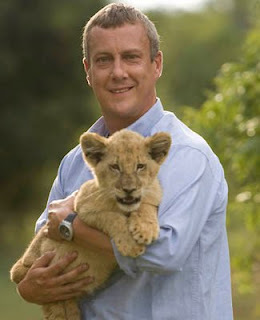 Actor Stephen Tompkinson's boyhood dream of playing a detective like Columbo has come true. The Ballykissangel star is slipping into a mac to play Chief Inspector Alan Banks in Aftermath - a TV adaptation of Peter Robinson's gritty novels. Stephen, 44, said: "There is probably room for a new detective on ITV now that Morse has gone and Frost is going. I've always wanted to play a detective. I adored Columbo so I will have to wear a mac in tribute to him." The character is a divorced dad-of-two who investigates murders in a Yorkshire market town. 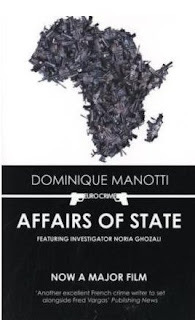 I'm currently reading Affairs of State by Dominique Manotti, tr. Amanda Hopkinson and Ros Schwartz, which came out last November. The author of the award-winning Lorraine Connection returns with yet another riveting tale of intrigue and corruption. A call-girl whose black book lists her elite international clients is found murdered, a mysterious plane bound for Iran disappears over Turkey - and the president's closest advisor, Bonard, is manipulating the system with consummate ease. It's up to rookie advisor Noria Ghozali to untangle the threads which bind these events together - and to combat the racism which repeatedly stalls her efforts. 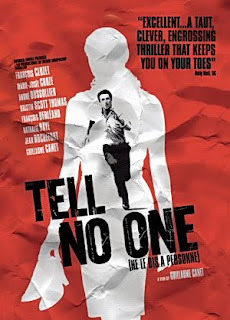 The fabulous French film Tell No One (Ne le dis à personne), based on the novel of the same name by Harlan Coben, will be on BBC4 on Saturday at 9pm. Mystery thriller about a paediatrician who is shocked when the eight-year-old investigation into his wife's murder is reopened when two bodies are found near where she was killed. As he tries to come to terms with being a suspect again, he receives a startling email from a seemingly impossible source. I must begin another letter to you, although it is not six hours since I sent my last. I have some news to communicate which I think will surprise you not a little. Miss Dido Kent hesitated, her pen suspended over the page. All her education and almost thirty years’ experience of writing letters had not quite prepared her for this situation. As well as she could recall, the rules of etiquette said nothing about the correct way in which to convey the news that she now had to impart. However, her governess had once told her that the very best style of writing was that which gave information simply and clearly without any excess of sensibility. She dipped her pen into the ink and continued. There has been a woman found dead here – in the shrubbery – this evening. It was the under-gardener who found her. Her sister would wish to be reassured that it was not a member of the family, or one of their guests, who had made the horrible discovery. Read more of the extract here.